Here’s how to make a little red meat go a long way. 1 Trim, wash and dry lettuce leaves. Halve cherry tomatoes, or if large, cut into quarters. Halve avocados, remove stones and skin and cut flesh into chunks. Slice meat thinly with a sharp thin-bladed knife and season with a little salt and pepper. 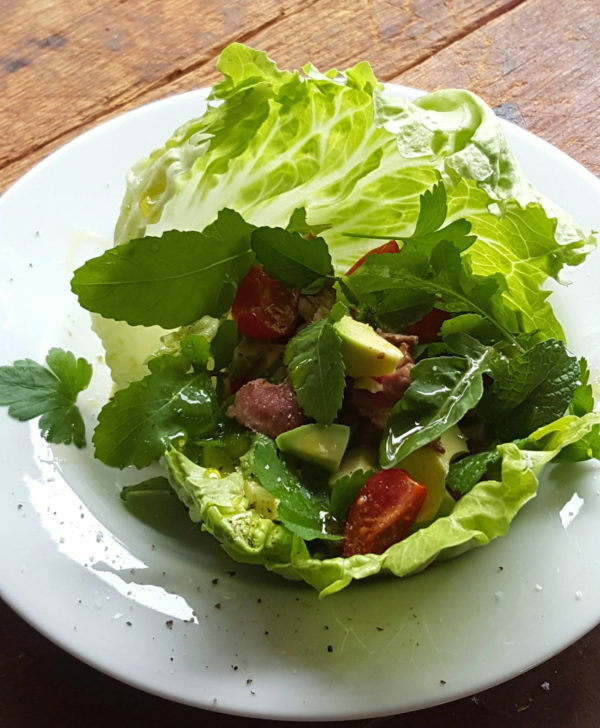 2 Put lettuce leaves in 4 bowls and stack with tomatoes, avocado, rocket, mint, parsley and sliced meat. Drizzle with a little oil and season with salt and pepper. Serve lemon wedges on the side. 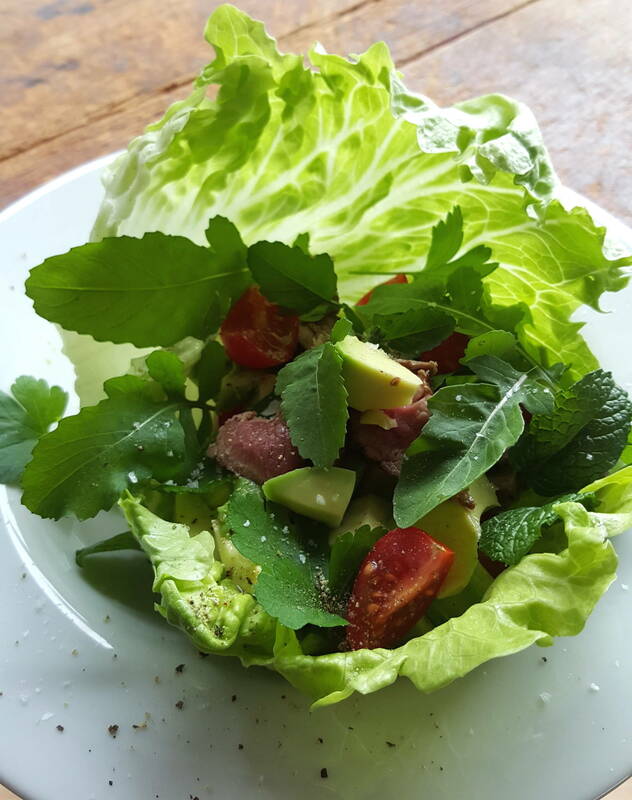 Leftover steak is perfect for a salad in a bowl (although it should be beautifully tender and cooked to medium-rare, not dried out or tough). Alternatively, start with a fresh piece of prime meat – venison or lamb work well – oil the meat and cook it quickly in a hot pan or on a barbecue hot plate (griddle). Season meat and cool before slicing. More. More. Give me MORE! Gazpacho is one of the glories of summer – tip it over avocados, dot with olives & basil, sprinkle with toasted cumin and m'whaaaaaaa! Delicious.